Well, it’s blazing hot here on Okinawa. Pair the heat with the high humidity and it’s like a non-stop sauna. Wahhh! My husband is REALLY enjoying this weather, but it’s making me a lot bit cranky. I’ve been looking for ways to keep cool and keep my pitta nature under control. Ding ding ding! 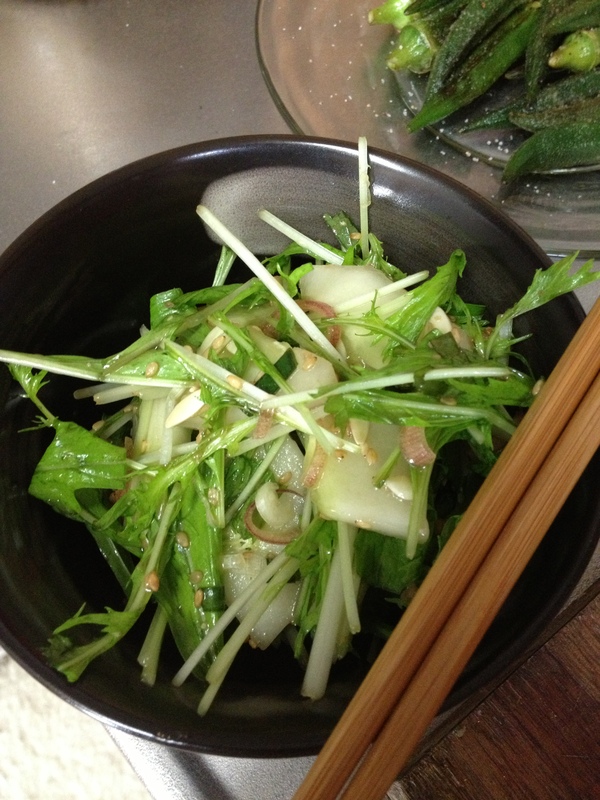 Cooling, refreshing salad!